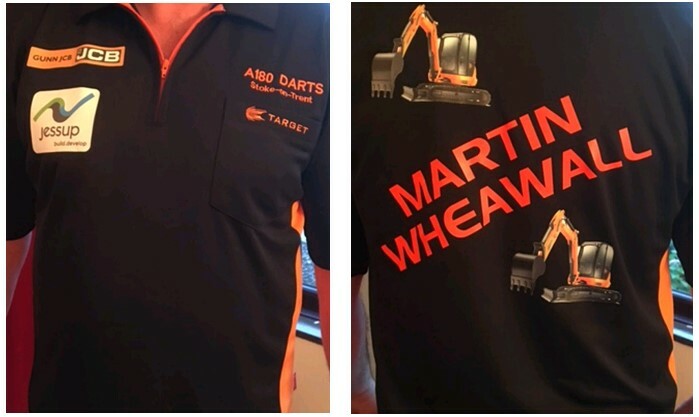 One of our loyal customers Martin Wheawall, the Director of John Wheawall & Sons, will be competing against world champions and darts legends such as: Phil Taylor, Adrian Lewis, Dave Chisnall and Michael Smith in the Darts for Donna Louise Exhibition Match Part 2 ‘Ally Pally Style’ 2016. We are proud to sponsor Martin Wheawall for the darts match on 18th October at The Kings Hall in Stoke-on-Trent to help raise money for The Donna Louise Children’s Hospice. We have a long-standing relationship with John Wheawall & Sons and they have purchased a variety of machines from us in the past in order to carry out their groundwork and excavation work. We wish Martin good luck for the competition!